Emilicia STYLE - A Beauty, Fashion, & Lifestyle Blog: Fashion: A superficial facade or part of who we are? Fashion: A superficial facade or part of who we are? Today's article is going to be something rather different to what I'd normally post on my blog but something which I think will (hopefully!) be just as interesting. Doing a combined degree at university involving Creative Writing, we're currently looking at the topic of 'identities', and what exactly contributes to our identity. We've been given the assignment to create a piece on whatever we like involving this particular topic, so it got me thinking: what makes me me? What do I see as being part of my identity? Being a fashion blogger, I had the idea of using this to my advantage by creating a blog post specifically on this topic: is fashion simply a marketing propaganda, depleting the sense of individuality or is at the very core of a person's identity? I also aim to discuss just how I feel fashion has formed a part of my identity growing up: as I'm sure most of you fellow bloggers can relate, and I would love to hear your opinions in the comments after reading. Enjoy! Firstly, let's look at the whole idea of fashion in general. According to the Oxford dictionary, fashion is 'a popular or the latest style of clothing, hair, decoration, or behaviour.' I suppose, in its simplest terms, this is correct. When people think of fashion, they tend to think of what's currently 'in-trend' and what the shop windows are displaying in the high street. However, I do believe it is a little more than that. Fashion, for some people, is very individual to them. In fact, I'd say (and I think most people will agree) it can be different for everyone. It normally is! Fashion is a way of expression. Fashion is how we communicate and express feelings, emotions, attitudes, moods, and desires through what we wear. Some dress to be visually appealing, some dress to impress, some dress to make a statement. And some simply dress for themselves: to tell the world "this is who I am". And I think this last example, those who dress to reflect their personality and sense of self, are the perfect demonstration of how the world of fashion and style can strongly form and represent a person's identity. Growing up, I was never a typical 'girly' girl. In fact, as a child, my outfit choice was the smallest concern on my mind. And maybe, being surrounded by three brothers, this heavily influenced my firm disinterest in clothes and all things appearance related! That said, things slowly started to change once I started secondary school and as I reached my mid teens. Having an older sister, I watched her style evolve over the years and always envied her sense of fashion. There was something very unique about it, and distinct to her only. This in particular, is where I think my interest in fashion was finally born. So, after the heaps and mountains of fashion magazines I'd spent my youth looking through (you name it, I had it: Vogue, Marie Claire, Cosmopolitan, Elle, Glamour, Harpers Bazaar etc.) I'd developed a pretty good idea of not only how fashion can unfold and emerge through the seasons and years, but also how each magazine is targeted towards a different demographic. For every magazine, though they usually involved the same trends of the current time, there was a different 'vibe' about them. And for the photo-shoots plastered across the glossy pages, the models always had some variation in their style and displayed a different kind of edge: like the message they were trying to get across always had something new and different to say. For example, one model's mood, style, and vibe would come across as playful, bright, and upbeat. Another's would be darker, alluring and dangerous. Through observing these ever-changing subliminal messages and tones of the fashion media world, I've recognised that fashion is indeed unique to everyone, and can be played around with to create an entirely different aura. So, it begs the question: is fashion something everybody can learn or engage with, or is it something that is embedded deep within us and becomes an important part of our identity? Is it something that we are, as cliche as it sounds in a typical Maybelline make-up advertisement, 'born with'? Or is the whole thing part of a much planned societial structure: aiming to control how we dress and lead us all into the false allusion that we are unique, by really just picking from a selection of current trends? This I intend to discuss. So, What Does Fashion Mean To Me? For me, fashion has become part of my identity, not only through the way I dress, but for my interest and active involvement in fashion blogging (or as the modern term goes by, 'f-blogging'). The hashtag #fbloggers is already taking the world of social media by storm. After a recent search, Instagram generates an impressive number of 776,311 posts tagged with the very combination of words (including many with variations, as seen below). Every minute on Twitter, new tweets are posted using the same hashtag following a link of their latest blog post or 'OOTD' (Outfit Of The Day). Paris Fashion Week is also featured in the Worldwide Trends section of the social media platform, again reinforcing the notion that fashion is a key interest all over the world, and a huge component of what we use to identify and express ourselves with. 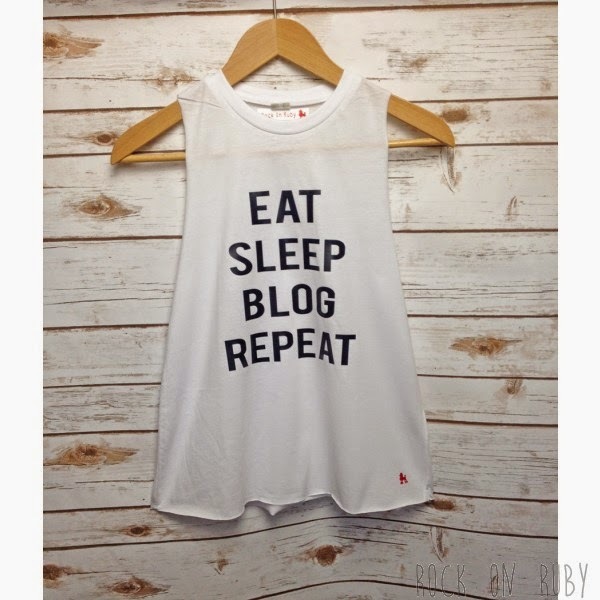 I think this likely contributed to my decision in creating my own fashion blog. After seeing others delve into their creative sides, I wanted to try my own take on it and create something that others could also learn from and enjoy. In my opinion, for anyone interested in style and fashion, there is an insurmountable pleasure in basking in the beauty of other's creations and stylistic choices. It's not just about presenting and showing off what you can do: it's about being inspired and enthralled by others. So, with a bit of incorporating beauty and lifestyle into my posts, I began my fashion blog in 2013 and I think it's been pretty successful ever since with a hit counter of over 70 thousand! Thinking about why exactly fashion should be seen as a strong part of an individual's identity, it got me thinking about the fashion industry in particular. It's such a vast market and involves so many important career roles: journalists, models, branch managers, designers, interns, PR's, stylists. From retail to social media, sales and marketing to the more creative side, there are so many important jobs occupying the industry. Surely this proves that the people who are working these jobs, the people who dedicate their lives to the business and those who spend many years trying to make it into a particular field, have a deep and innate love for fashion that drives them forward to pursue their goals and ambitions. Something that makes them feel alive when they've finished stitching that last sequin on a new season dress, the moment they proudly strut down the catwalk after spending hours in hair and make-up, or when their article makes the front page of Cosmo. These people live for fashion. And as for the young girls (or boys) who pick up these magazines to moon over the latest collections from their favourite designers or spend every week looking forward to the new episode of Project Runway, they are gaining so much joy and unknowingly forming their identity from being inspired by the people in these professions. A close friend of mine happens to be going into the business herself. I asked Rachel, a second year Fashion Design student at the University of East London, what influenced her choice to study this degree. "I don't know what it is, but ever since I was young, I've just loved everything about fashion. My mum was fantastic at textiles and got me really into it at school, but even before then, I was always playing dress up with her clothes and shoes. Maybe it's something inherited after all"
As for me, I can't really picture myself doing anything else. Of course, I'm striving towards a career in journalism, and writing for a top fashion magazine would be the icing on the cake. But the reason I want to write about fashion and style is because I find so much joy in creating, sharing, and expressing beauty in all it's forms. There is a beauty in writing itself, and what better way to use it than to share my thoughts on stereotypical ideas of beauty (such as fashion) to help and inspire others. And that is why I believe a love of fashion to be innate: we all have our different reasons for wanting to be involved with it, which is surely a true indicator of fashion being tied to a person's identity. The above quote is a very well-known but very controversial statement made by the one and only Oscar Wilde, and one I'm sure most readers on my site would disagree with. I, myself, am not sure I entirely agree, but nonetheless, it raises the argument of whether fashion is a crucial piece of a puzzle to a person's identity or nothing more than a money-making scheme. There is quite a debate over the intentions of fashion designers, and fashion-followers. Yes, the fashion designers do indeed love their work and showcase it with pride, but some may argue that buying something 'designer' is simply a trick used to encourage customers to pay more for an item. In this case, many are only buying something simply for the label: and whether or not it is even made from better quality or looks any better than a cheaper supermarket or high street brand is irrelevant. This leads to the argument that some people solely buy products for the label on them. It's entirely possible they could love and only wear a specific designer (in which case, fashion being part of their identity would hold more plausibility as it's unique to their tastes). However, it's also the likely scenario that many consumers are purchasing designer products - regardless of the designer - just to make a point that they can either afford these up-market brands, or to try to appear to be more fashionable than they really are in order to impress their peers. Trendsetters certainly exist, but so do trend-followers. A trend-follower, in it's most basic terms, could be used to describe someone who follows seasonal trends avidly. But rather than just selecting the particular trends they like from a summer or spring collection, they wear everything considered to be 'in' at the time: regardless or whether or not they actually like the pieces. For this reason, it could be argued that there really is no sense of individuality in fashion. If thousands, possibly millions of men and women all over the world are just succumbing to what they are fed through the media of what they think they should be wearing, how can anyone be truly unique? Be it through TV, magazines, or social media, we are bombarded with celebrity culture everyday and subliminal messages of what is currently on-trend. Celebrity culture itself is all around us, and it's nothing uncommon to see journalists talking to celebrities at award shows about what they're wearing and more importantly - who they're wearing. Audiences are watching wide and far, idolising their favourite stars in unforgettable outfits. 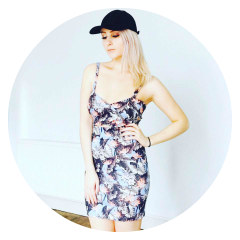 Online brands themselves then use this to inspire their own collections: simply click on the 'New In' page on Missguided.co.uk and you will see tonnes of celebrity inspired dresses for parties and special occasions. Are we subtly being told what to wear by the many brands advertising to us? No matter where you go, advertisements bombard us all. At the bus stop you'll see a size 4, white blonde girl wearing nothing but a pair of Calvin Klein jeans. 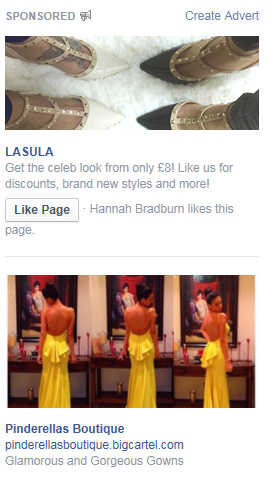 On the sidebar of Facebook you'll see yet another advertisement for Pinderella's Boutique and headlines enticing you to get the 'celeb look' for a much more affordable price. If this is the case, and we are essentially being 'force-fed' outfits and particular trends, is anyone truly unique in their dress sense? Doesn't it deplete the sense of individuality if we are, quite literally, picking and choosing from a clothes rack that has been selected for us by a larger corporation and industry? Unfortunately, I do believe there is definite evidence all around us to support this. You only have to go and take a look around your local city centre and watch the young teens trawling out of their favourite stores, shopping bags in hand, all wearing slightly similar assembles. There's even a particular scene in the film 'The Devil Wears Prada' that has become iconic to fashion lovers everywhere and resonates with this exact argument. It's a film about a journalist graduate named Andy (with no particular interest in fashion) who lands a job as an assistant at the prestigious Runway magazine and ends up reconsidering her previous conceptions of fashion as shallow and unimportant. Miranda Priestly certainly has a point. Even those who seemingly could not care less about the clothes they wear on their back, their attire has more or less been chosen for them by the industry they try so hard to disassociate themselves with. If this is the case, it's entirely possible that the industry uses the tools of fashion and media as a form of social control: a way to control society, telling us that we should wear this and avoid that. Completely eradicating any sense of individuality in people and turning us all into sheep. If this rather daunting theory is indeed true, then fashion is the enemy of originality: it instead causes us to lose our identity instead of help create it. "Things are not quite so simple always as black and white." But maybe the world isn't completely black and white. Maybe there are shades of grey among these two extremes. It's more than likely that there are the minority of individuals who simply follow fashion for all the wrong reasons, i.e. to impress others and fit in. But I believe that the majority of fashion followers, no matter how they are involved, be it through writing about fashion or wearing it, are engaging it with it for all the right reasons. For them it's much more than a piece of fabric you've decided to throw on. It's an entire world in itself, full of possibilities, beauty, and an expression of oneself. It's something that we can all experiment with. 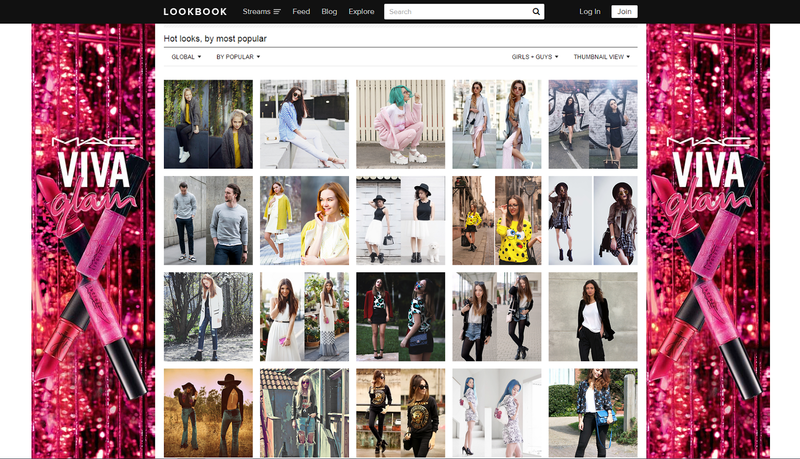 Websites like LookBook celebrate this individuality in fashion by showcasing thousands of outfits from all around the world, relishing in the uniqueness of everybody's different sense of style. In my opinion, that's what fashion's all about. Learning about what you love, and what's in-trend, but merging the two together to create something entirely unique that resonates with your personality and character. Something that shows off your identity proudly, letting the world know who you are through what you're wearing. As you can tell from the image above, there is so much diversity among the models and their style choices. Each one of them stands out but in their own unique way: no two images are exactly the same. And in each photo, you can get a real glimpse into the personality of the model. For example, the woman with the bright pink outfit, platform shoes, and blue hair likely loves to stand out from the crowd, giving us the impression of an outgoing character and risk-taker. The girl pulling a smiley expression in the Spongebob Squarepants jumper gives off a 'cheeky' yet happy and playful vibe, and probably doesn't take herself too seriously. Writing this article, I've learned so much about how fashion can play a major part in someone's life and consume their identity. It may not be a huge deal for some, and have very little significance in their lives. But for me, and many others reading this site, fashion is a key constituent of our identity and how we see ourselves. Identity in itself is such an important part of every one of our lives, and whether we choose to define ourselves through our education, our career, our wealth, family, friends, or what we wear - we are all beautifully unique. And that's something worth celebrating.